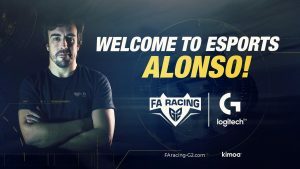 Abu Dhabi, UAE, Nov. 23, 2017 – Today, F1 World Champion Fernando Alonso, Logitech G, a global leader in gaming gear and simulation wheels, and G2 Esports, the leading esports team worldwide, announced a new, elite racing team – FA Racing G2 Logitech G. The team will participate across a variety of games, console and PC platforms, as well as all current competitions. Professional teams are critical to sustaining the phenomenal growth of esports and to simulation racing in particular. Through this collaboration, FA Racing, G2 Esports and Logitech G become the first racing team to partner with an F1 champion and aim to create a team that all sim racing enthusiasts will aspire to. The team are pleased to confirm that Cem Bolukbasi, a finalist in this year’s F1 esports championship taking place in Abu Dhabi this week, has already signed up. Pushing boundaries and reaching the incredible is something one could say about Fernando Alonso. After establishing the passion for karting at young age, in 1996 he proved his ambition and skill becoming world karting champion. His talent was soon noticed and he started his long lasting Formula One relationship. In September of 2005, 24-year-old Fernando won the Formula One World Drivers’ Championship title becoming the youngest holder of the title at the time and defending it in a consecutive year. Currently Fernando is racing for McLaren-Honda. He is the only Spanish driver to have won a Formula One Grand Prix and is the driver with the sixth highest number of Grand Prix wins, 32. This year seems to be the year of new beginnings for Fernando Alonso. In May he tried himself as a racer outside Formula One and made his debut in Indianapolis 500 earning the Rookie of the Year award. 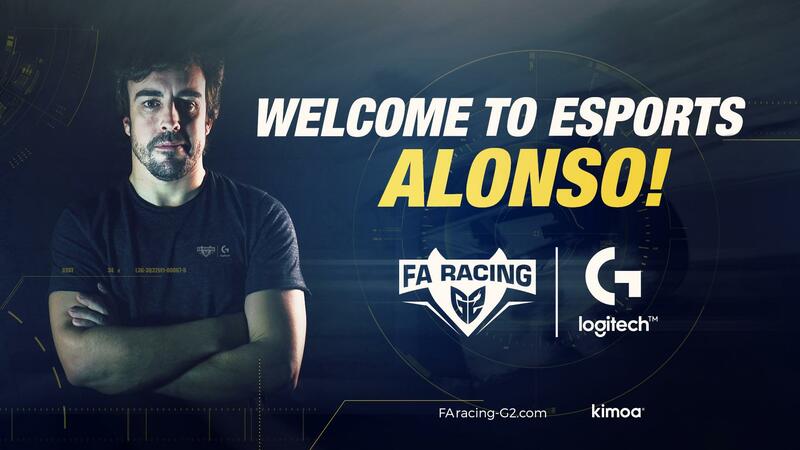 Shortly after the famous racer introduced his new fashion brand KIMOA, which will also be represented in the FA Racing G2 Logitech G apparel. G2 Esports is a World Premier Esports Club representing some of the best competitive players around the globe. G2 Esports was founded in 2013 by Carlos ‘ocelote’ Rodriguez, a former star player in League of Legends. It was built with the desire to bring innovation into esports team management and business whilst upholding our core values of integrity and professionalism. Currently G2 Esports is represented by 12 teams across the biggest esports titles, including League of Legends, CS:GO, Hearthstone, Rocket League, PlayerUnknown’s Battlegrounds, Vainglory, Paladins, Smash Bros. Melee and the newly added Sim Racing squad. G2 Hearthstone Team was awarded twice consecutively the best Hearthstone team in the World in 2015 and 2016, and the G2 Rocket League Team won the first World Championship in 2016.